In the digital age, you need to be wary of your personal identifiable information getting into the hands of unintended people through routine form and application submissions over the internet or offline. Just like how a 30 day notice works, you need to be aware of an establishment/site’s privacy policies. 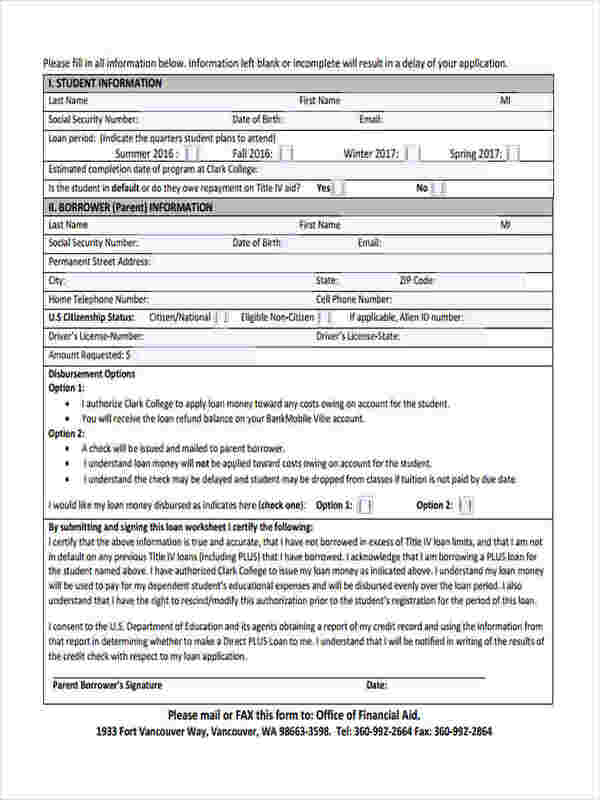 If a commencement notice is required prior to undergoing building construction, privacy notices are also needed before taking part of any medical procedures, loan applications, judicial processes, etc. Nowadays, protecting one’s privacy no longer just involve not disclosing where you live and your telephone number. It now means taking proactive measures to fight identity theft. The main objective of privacy notice forms is to foster a transparent environment between clients and service providers. 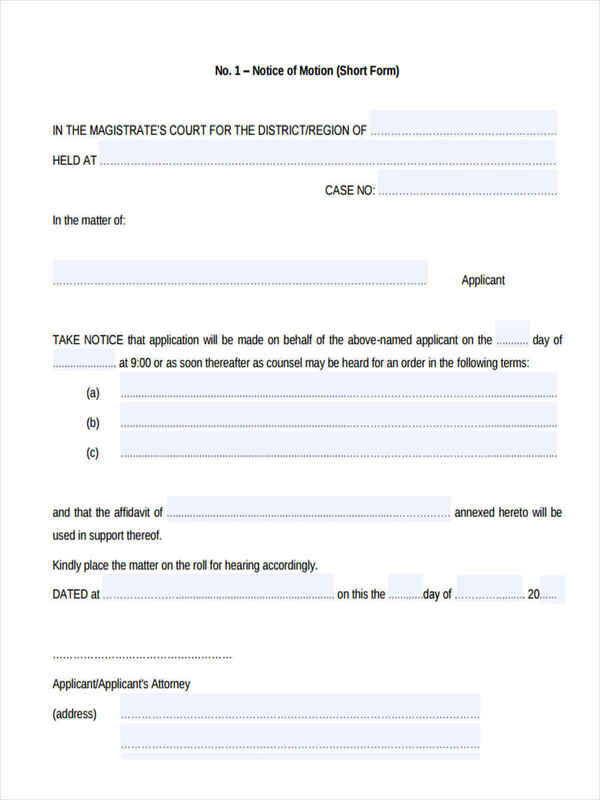 An example of which in the real estate field is when a landlord gives his/her tennant a Notice to Vacate Forms. To create a privacy notice, you first need to understand your company policies and service goals. Make sure to include basic personal information like name, address, and contact information in the preliminary fields of the notice form. More detailed personal information will be required depending on the level of service that the client requires. 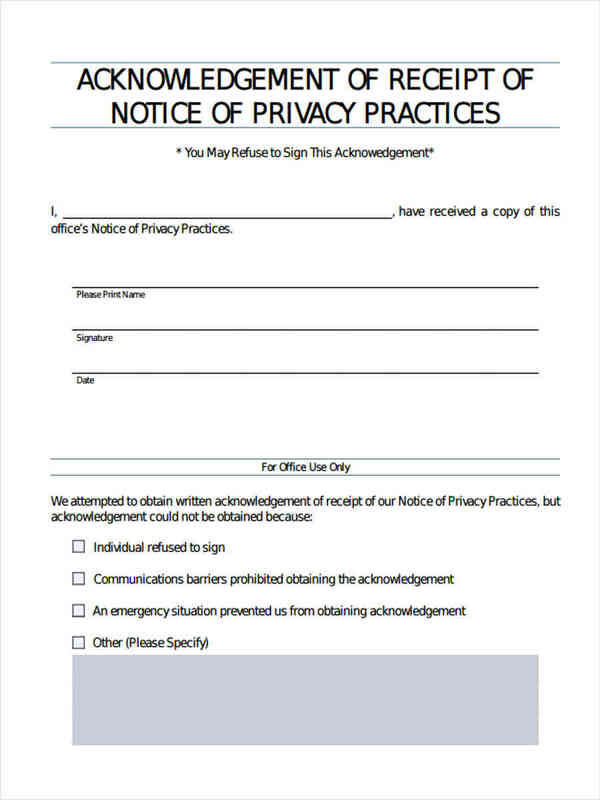 Ensure that the privacy notice form is formatted well and written in the common language of your customers. 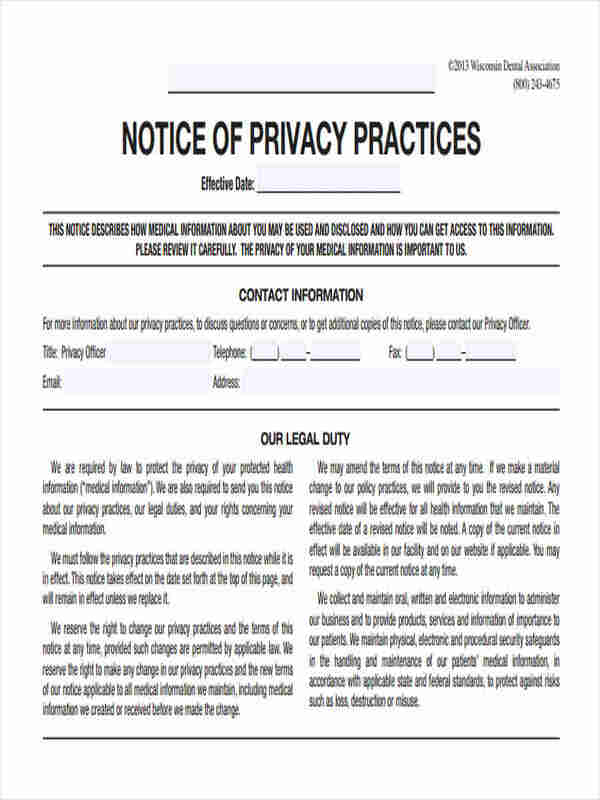 Privacy notices may also be treated as a warming notice form especially when they are used prior to signing up for a company’s service/s. 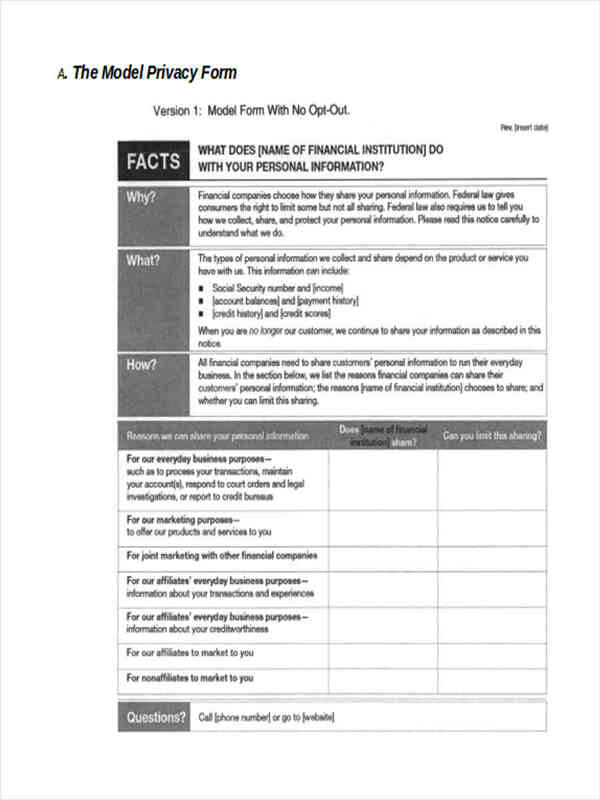 Lastly, always consult your company’s management team and legal teams before finalizing the privacy notice forms. For online services, create website footer links that are visible to most website visitors. Do away with the legalese as much as possible. 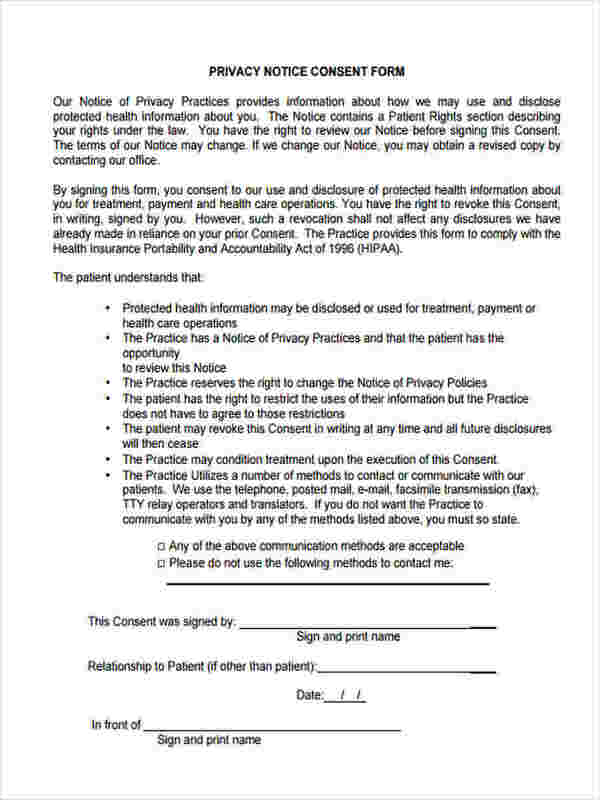 You may present privacy notice forms in bulleted Q & A format. Ensure that clients know they have a right to refuse the use of their personal information for other tasks aside from the services they are seeking. For offline businesses, designate a personnel to explain your company’s privacy policies to your client and. Be transparent and state how your company uses and protects its customers personal data. What is the Importance of a Claim Form ? What is Project Tracking Form?